The route to this final was the most challenging campaign faced by any Belmayne Team. 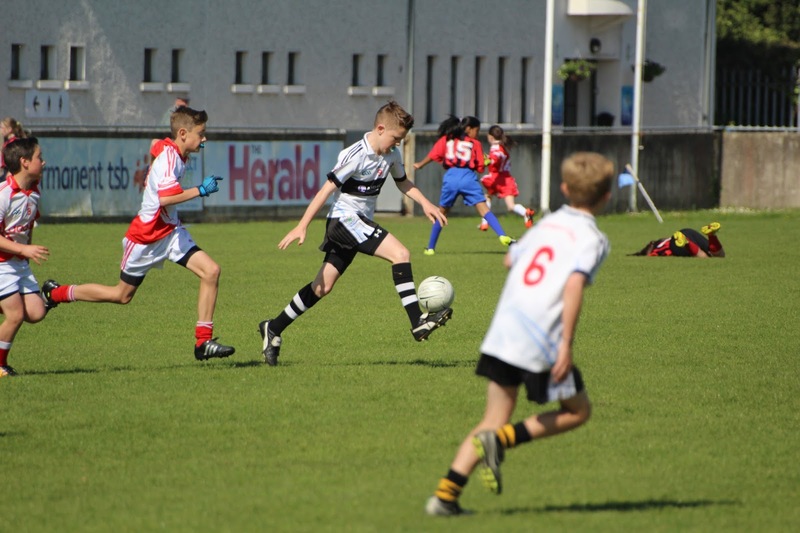 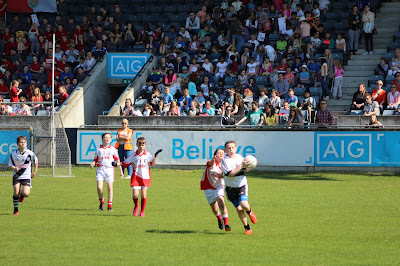 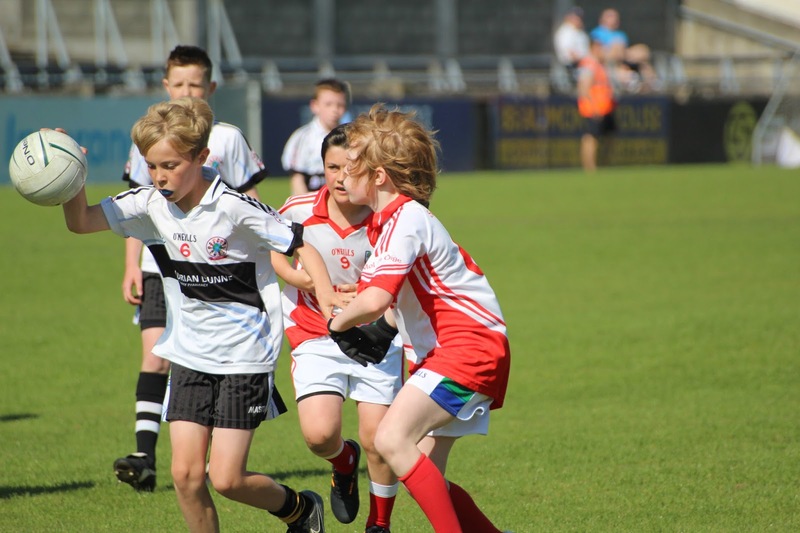 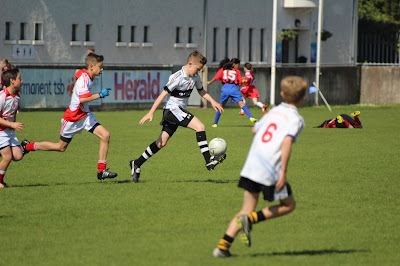 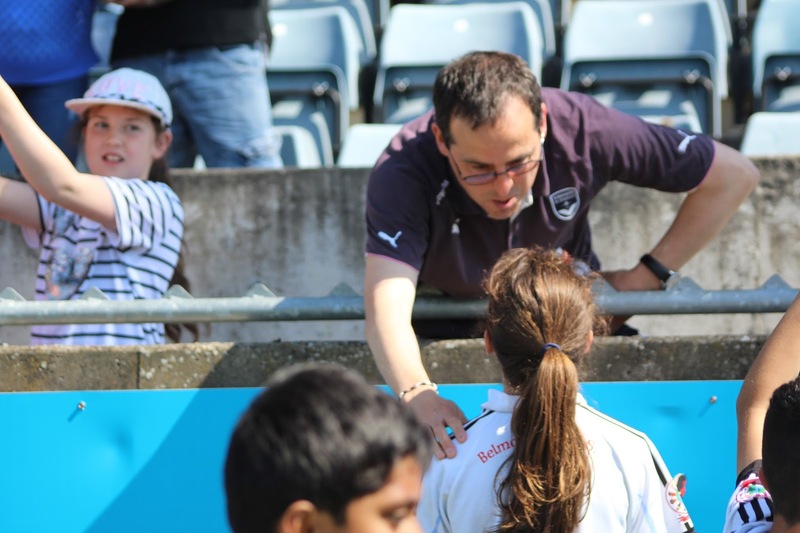 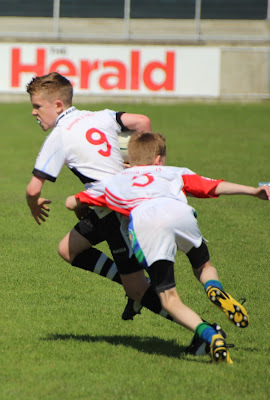 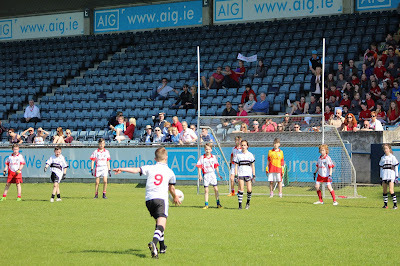 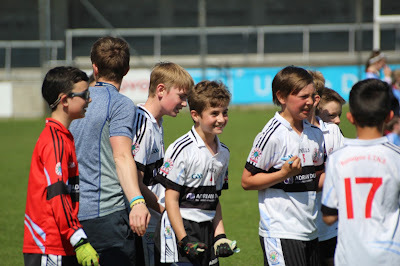 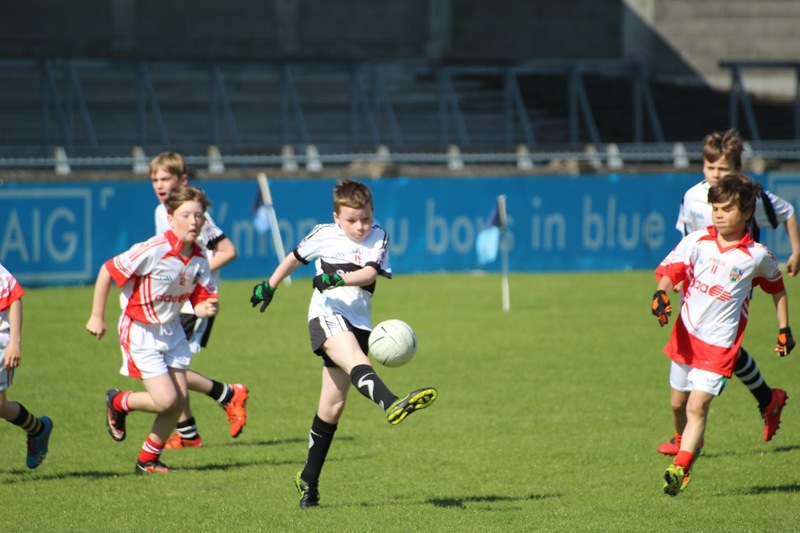 We faced many tough teams throughout the league including Mother of Divine Grace National School, Howth National School, Holywell Educate Together, Swords Educate Together and Scoil an Duinninigh. Belmayne finished second in their group, behind Scoil an Duinningh which meant that we were faced with a tough semi final against the winners of group B, Swords Educate Together. 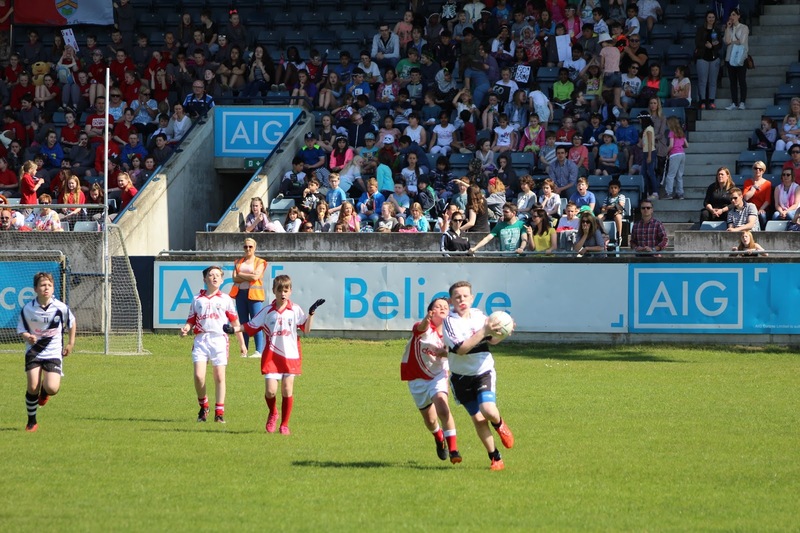 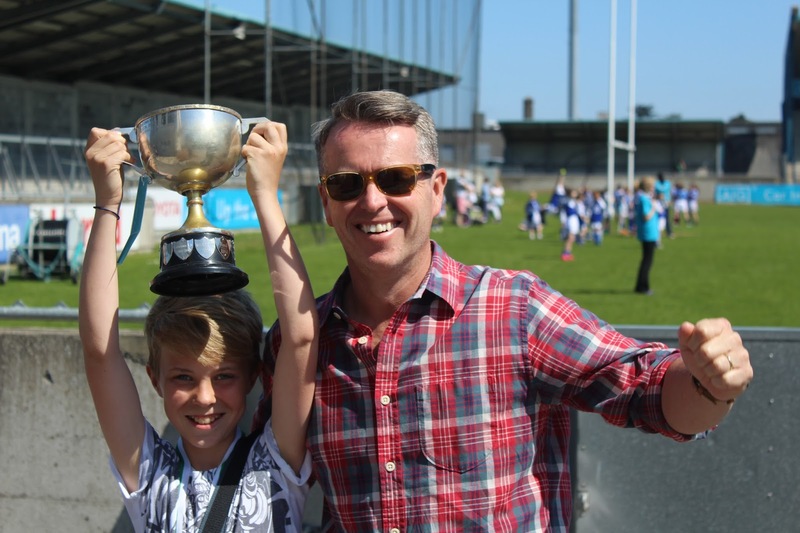 With the experience of last year's final win in Croke Park, Belmayne prevailed by 6 points. 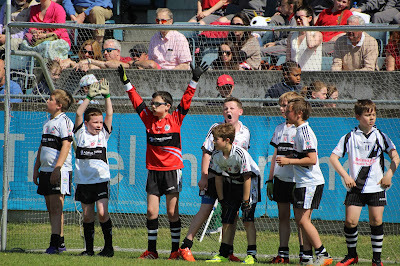 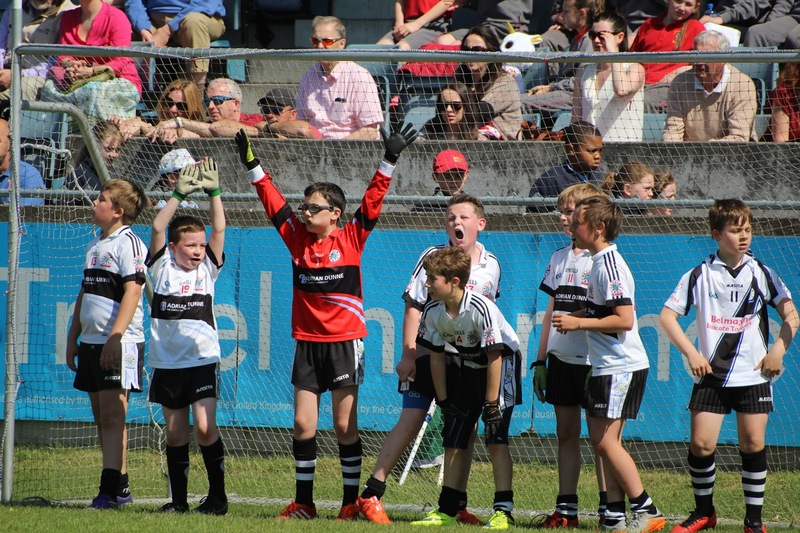 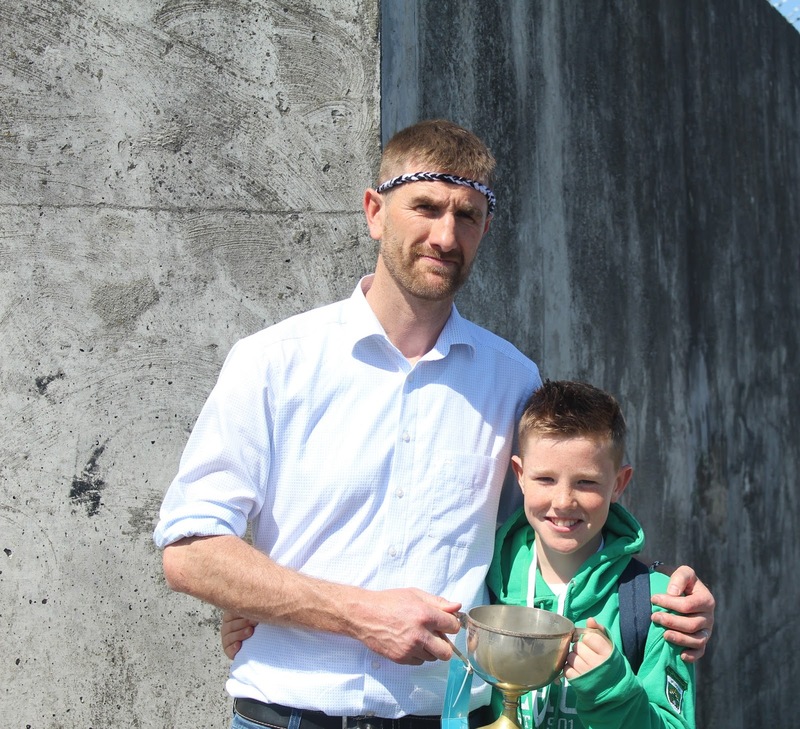 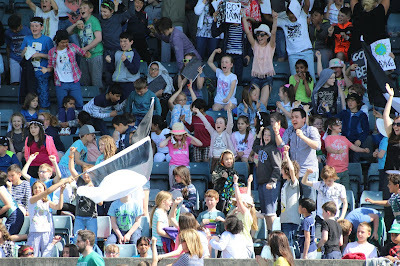 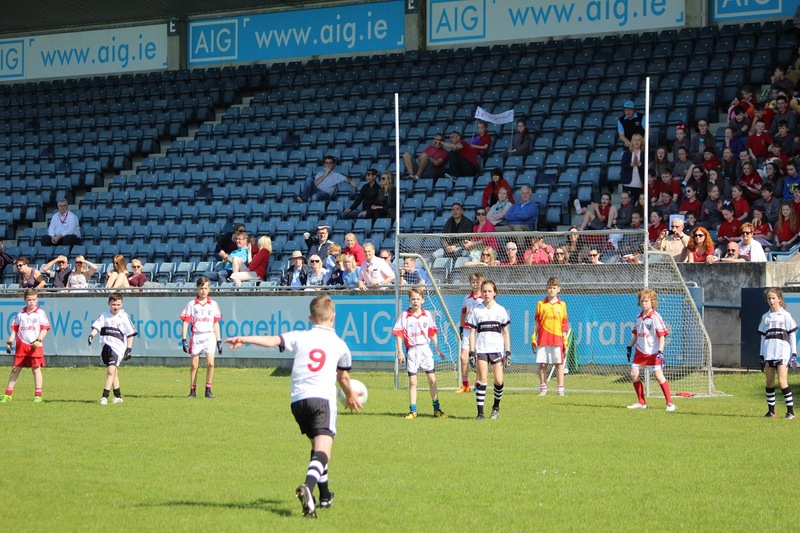 The final gave Belmayne a second opportunity at Scoil an Duinninigh. 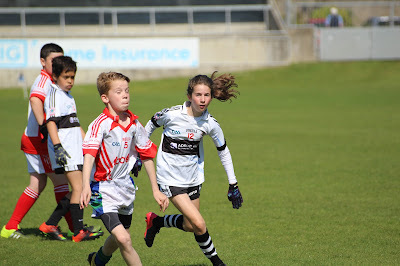 At half time, Belmayne were trailing by 6 points but all the players dug deep and a last minute goal from Conn Rock gave us the victory by 1 point. 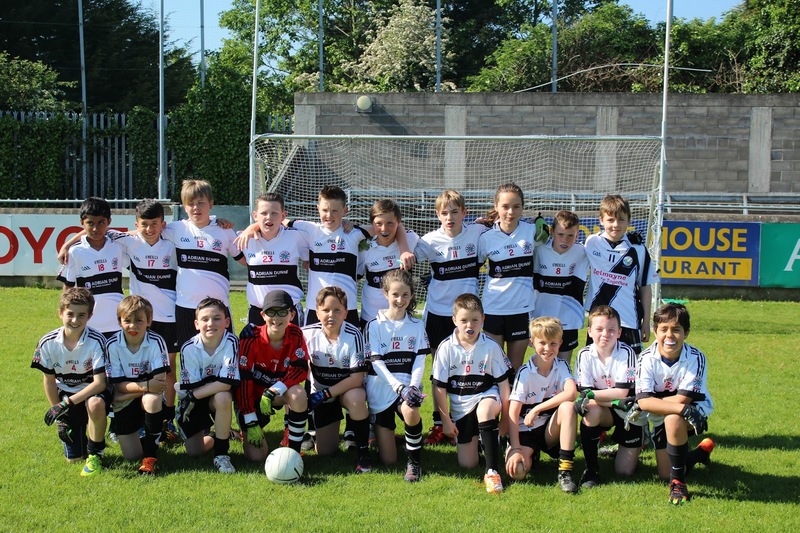 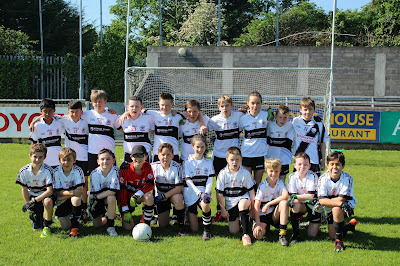 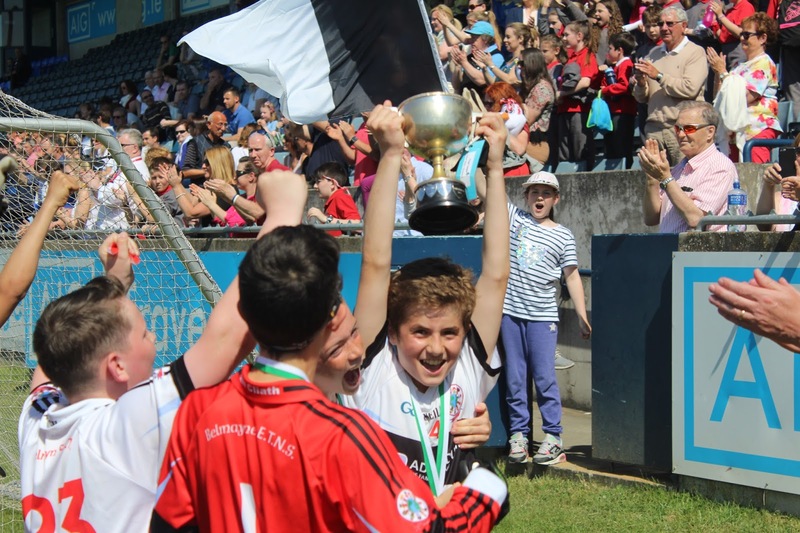 This was Belmayne's first success in an official football competition and followed on the great win in Croke Park the previous year. 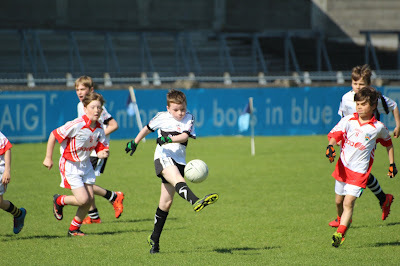 SM with the head up looks for the perfect pass. 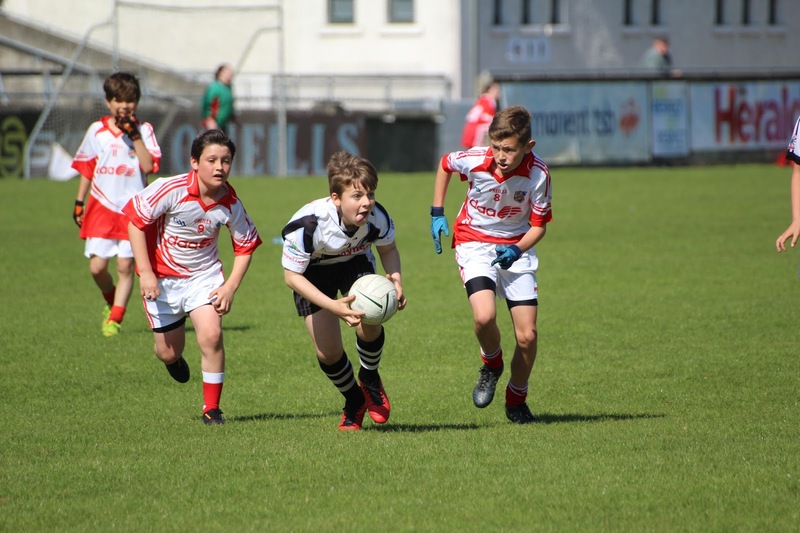 GAA started in Belmayne with LR coming in on his lunch break to train the kids. 6 years later, Nice reward for both him and his son.